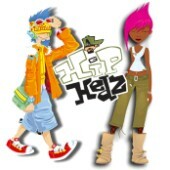 Hip Hedz is a humourous and funky graphic property featuring the different street teen groups of today! The property was inspired from the constant desire of the youth of today to belong to an identifiable trend group. Join the Skate Hedz, Goth Hedz, Punk Hedz, Idol Hedz or Indie Hedz as they party with their friends! 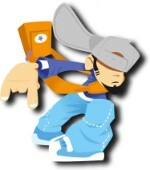 Hip Hedz is aimed at boys and girls aged 9 and older. Its edgy and original characters, elements and graphics perfectly demonstrate the diversity of today’s fashion, music and culture.